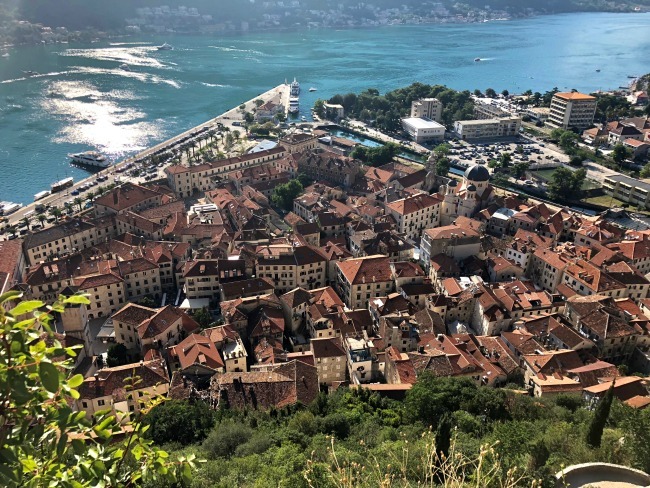 It’s time for my first post on my adventures in Montenegro! 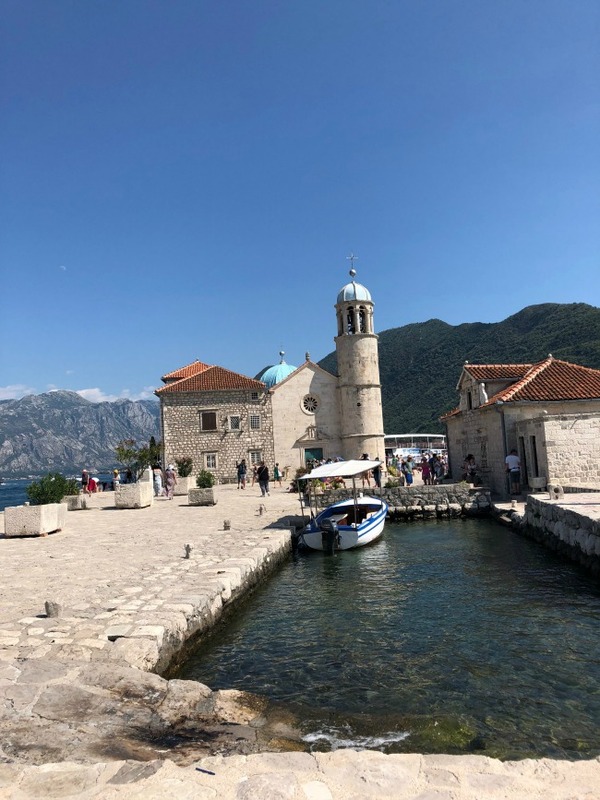 I’m starting with the time we spent on the Bay of Kotor, including staying at in the towns of Kotor and Perast, and visiting the Njegos Mausoleum. 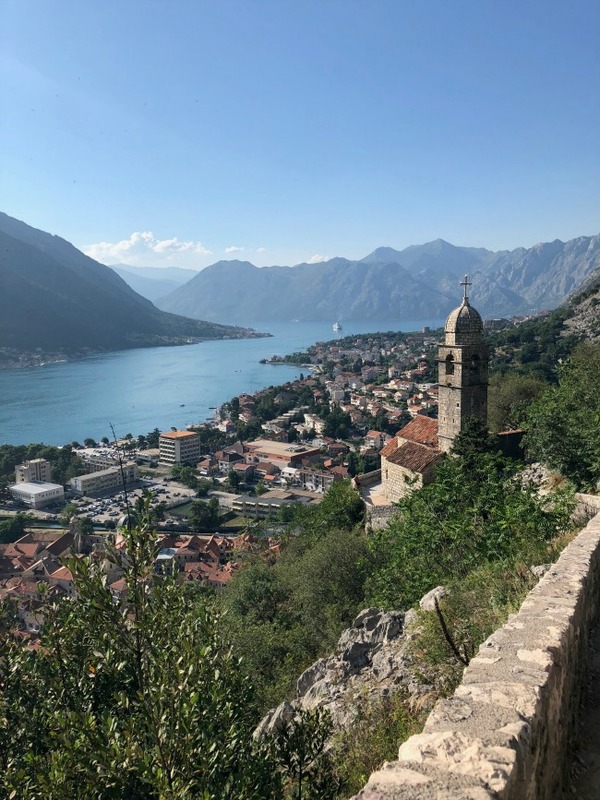 The Bay of Kotor is around 28km long with over 100km of shoreline, and is dotted with gorgeous little medieval towns and stunning scenery. 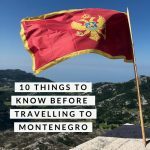 If you haven’t thought about visiting Montenegro before, something tells me you will after this! 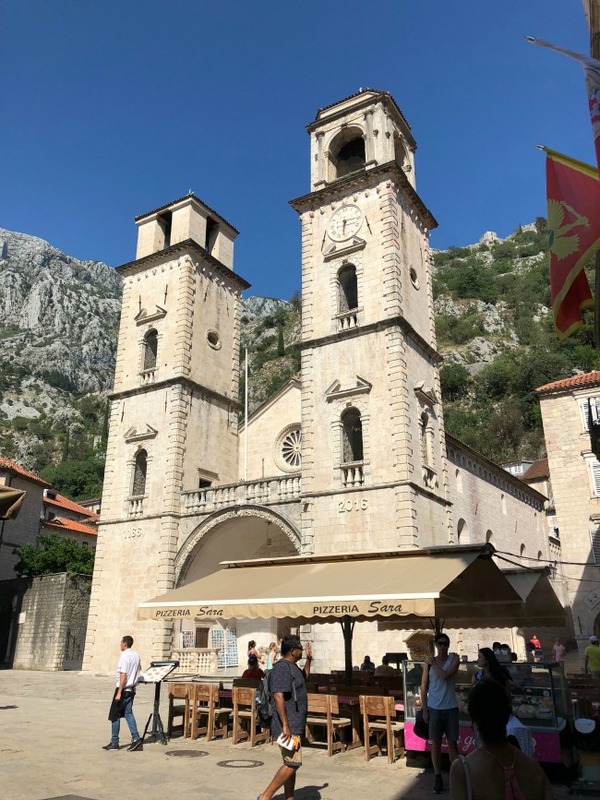 Kotor is by far one of the most popular towns to visit on the bay, and for good reason. 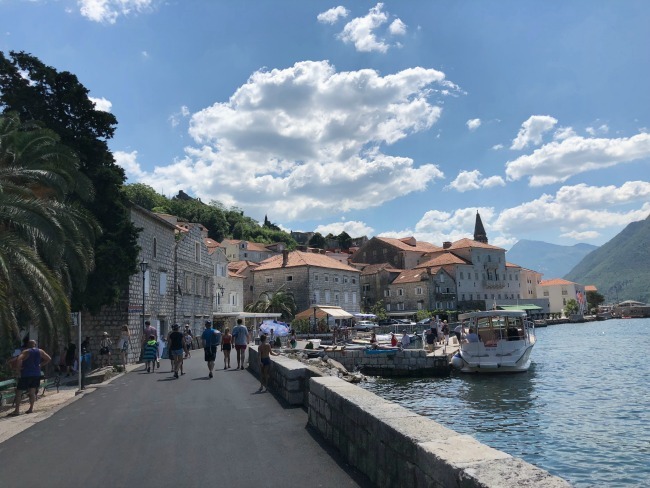 It’s a regular stop on the cruise ship routes, so I recommend staying at least a couple of nights so you can explore the town before and after the crowds descend. 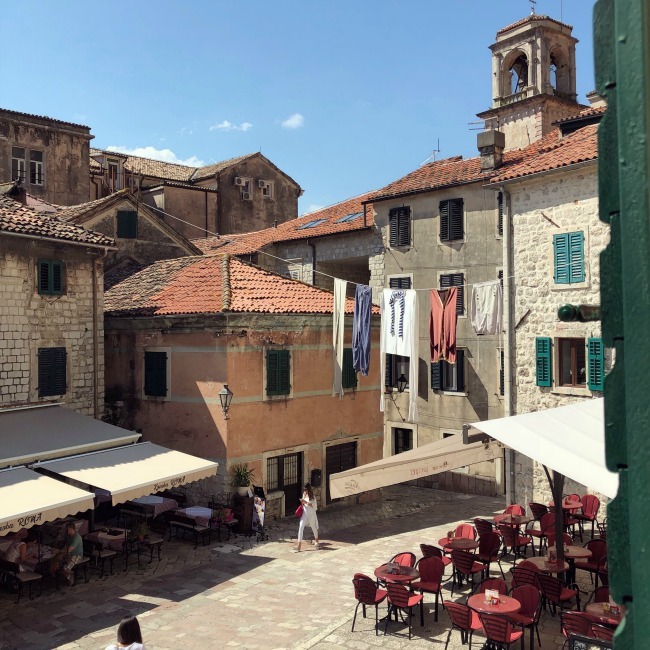 We spent two nights, staying in an AirBnb inside the old town, hosted by the fantastic Lazar, and had a fantastic view over one of Kotor’s many gorgeous plazas. 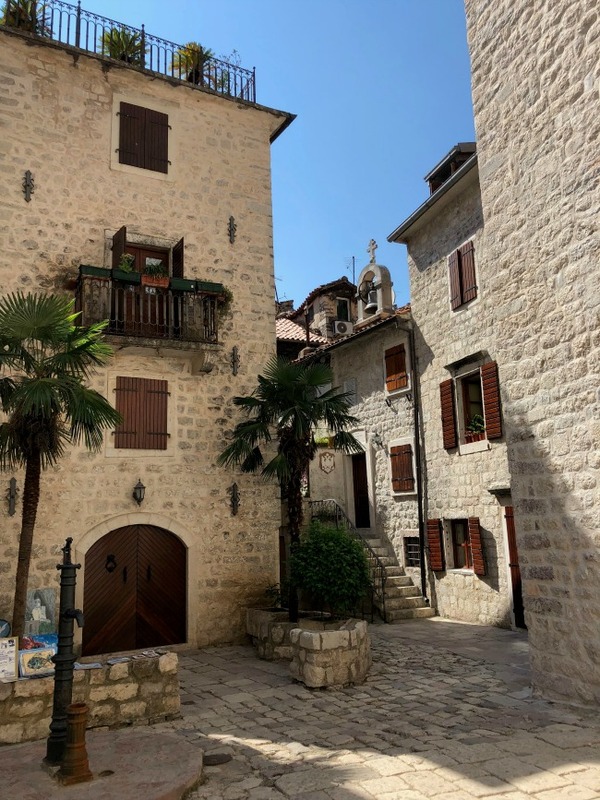 The old town is one of Kotor’s key attractions, it is full of incredible buildings, windings streets and plenty of spots to stop for a coffee, meal or drink. It took us a little while to find our way around the town, we nearly had to leave a trail of crumbs to get us back to our apartment! It was a pretty excellent spot to get a little lost in though! The old town is UNESCO World Heritage listed, and it’s not hard to see why. You’ll find churches and town squares galore. We explored the inside of the 12th Century Twin-Spired Cathedral, which also gave us some wonderful views over one of the main squares. The vast amount of white limestone was pretty spectacular to see! 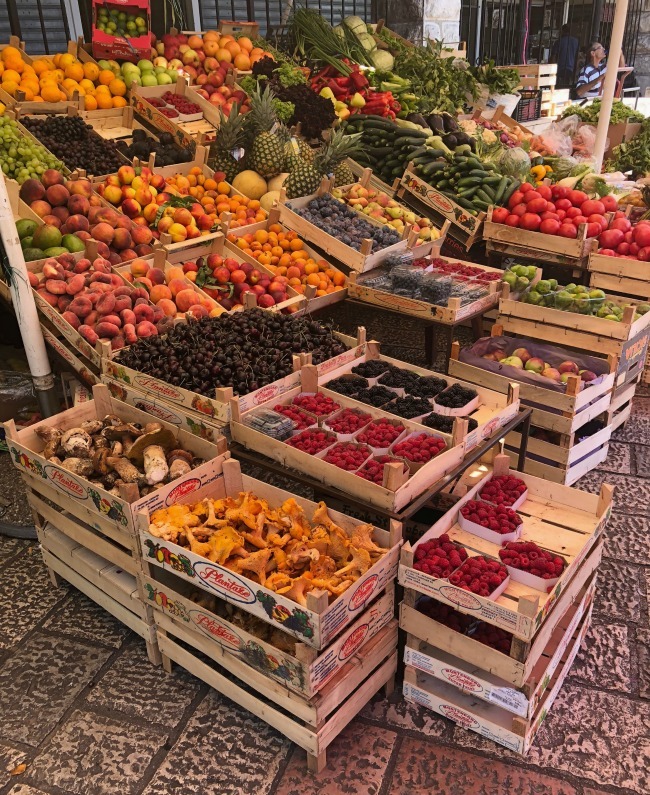 Just outside the main gate you’ll find a daily fresh food market, selling everything from fruit and veggies to local cheeses, meats, seafood and bread. It’s an excellent spot to pick up some snacks or goodies for a picnic lunch. 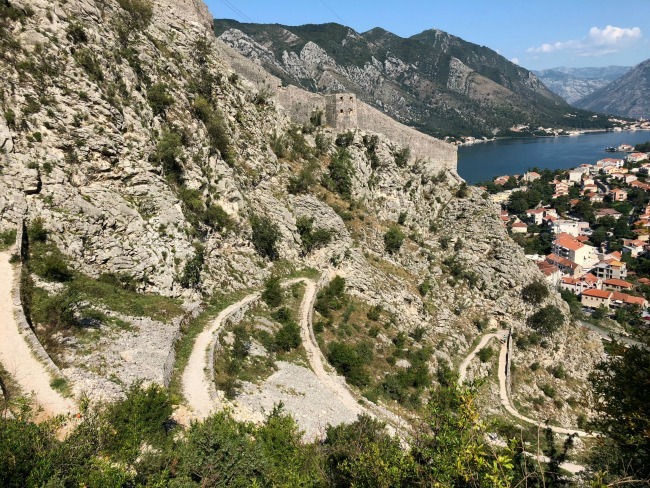 One of the must-do experiences in Kotor is climbing up to visit the Fortress perched high above the town. 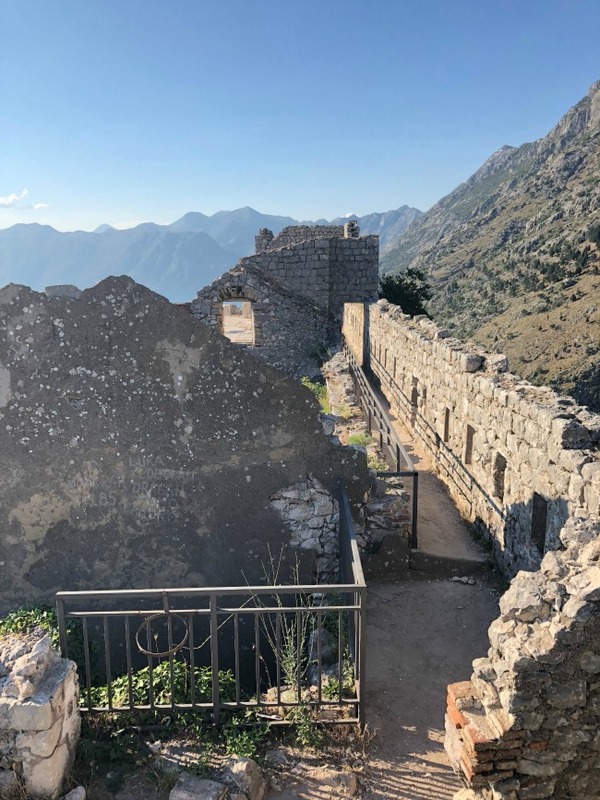 it’s known as both St John’s Fortress and the Castle of San Giovanni and it’s imposing, impressive and unsurprisingly the views from the top are pretty mind blowing. There are two main gates within the old town to start the journey up the 1,350 steps to the Fortress, and entry is €8. We were told about the old Austro-Hungarian road which runs up the mountain outside the city walls, joining the Fortress at the top and decided to give that a try instead. It was meant to be slightly less steep and a more shady option which was very appealing! The walk itself was tiring but pretty, and took us by some gorgeous but dilapidated buildings. Unfortunately however when we found ourselves at the top we discovered that the access point had been closed only a day or so prior, so unfortunately we couldn’t get in to the Fortress. So, I highly recommend you double check its status if you’re recommended to take this route! Thankfully, we were able to muster up enough energy to try again using the main route later the same day. It was steep, hot, hard work but so incredibly worth it. The views back over the bay and down to the old town were breathtaking – which considered I was already pretty out of breath was almost dangerous! The Fortress itself hasn’t been overly restored and isn’t set up as a museum or anything, but that didn’t take anything away from it for us. We wandered through all the ‘rooms’ and through little passageways. It was amazing to see the engineering work that would have gone in to building this Fortress, way back in the 1400s. The path up is rocky and pretty narrow at parts, so I definitely recommend wearing proper footwear. There’s also not much in the way of shade, so hats, sunscreen and plenty of water is a must. I also recommend going up early or late in the day (it’s open 8am-8pm) to avoid not only the heat but the worst of the crowds. I don’t however recommend doing it twice in one day like we did – I haven’t been that tired in a long time! It’s safe to say we inhaled quite a bit of pasta that evening! 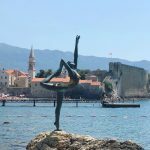 Outside of the walls of the old town you are greeted with stunning views of the bay and the surrounding mountains, as well as plenty of spots set up for swimming. There’s lots of bars and cafes dotted along the water as well! We chose to take a dip in the spot closest to town and it was pretty amazing to be swimming with those views in every direction. It was also an excellent way to cool down after all our exploring in the summer sun! There’s also plenty of restaurants and even a small shopping centre outside the town walls, so it’s a useful spot to explore even if you’re not keen on a dip in the water. We picked up some breakfast supplies at the supermarket in the shopping centre, although we still went out for coffee as it turned out the place right outside our apartment did excellent double espressos! 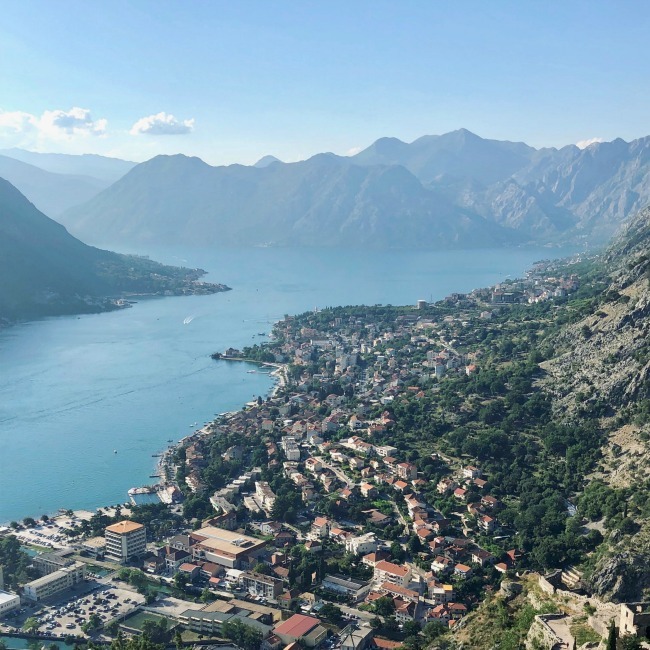 It’s safe to say we loved our few days in Kotor, and I would highly recommend adding it to any itinerary you’re planning in the area. 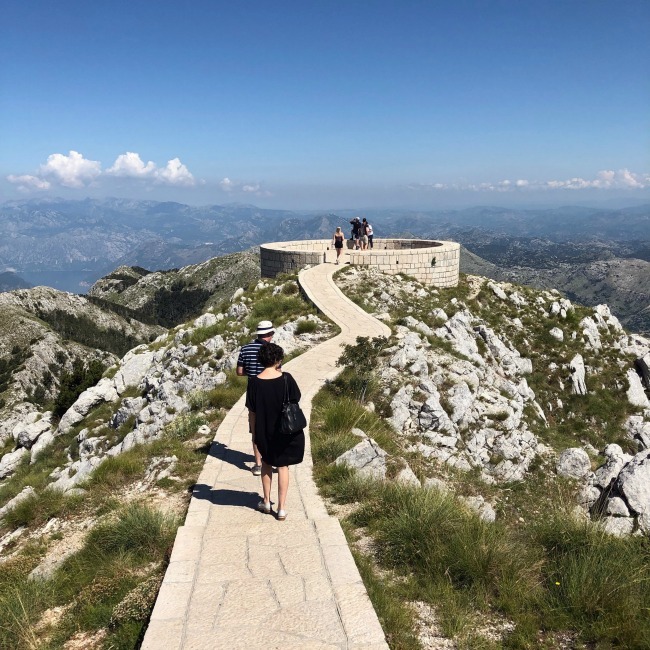 It’s easy to get to from either of the airports in Montenegro, or even from Dubrovnik which is what we did. 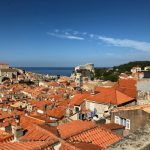 In fact, Lazar our AirBnb host happily came and got us from Dubrovnik (for a transfer fee of course) – how is that for service! 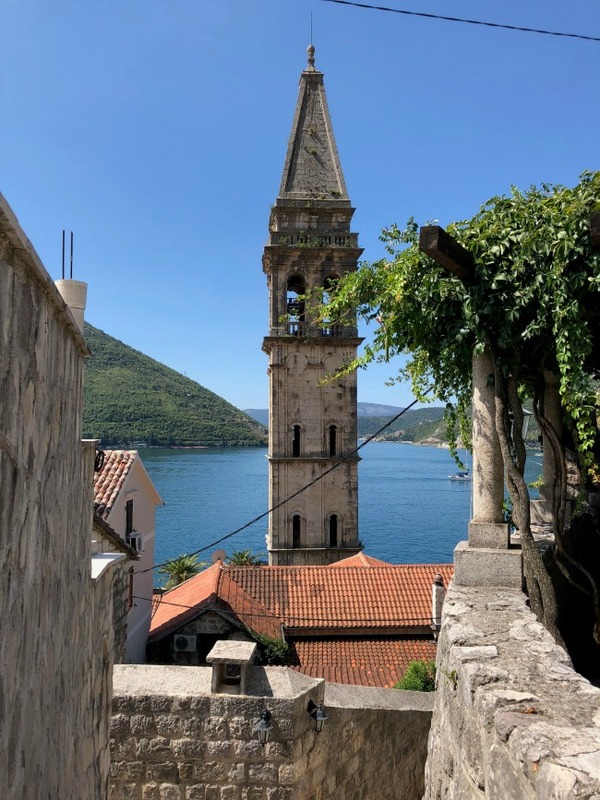 Perast is an incredibly tiny, but incredibly beautiful little town. It’s UNESCO World Heritage listed and the whole town is based around one main road that is only about a 1.5 km long. It’s mostly car free – visitors can’t drive through but locals can – and the town is home to 16 churches and a whole host of gorgeous buildings. 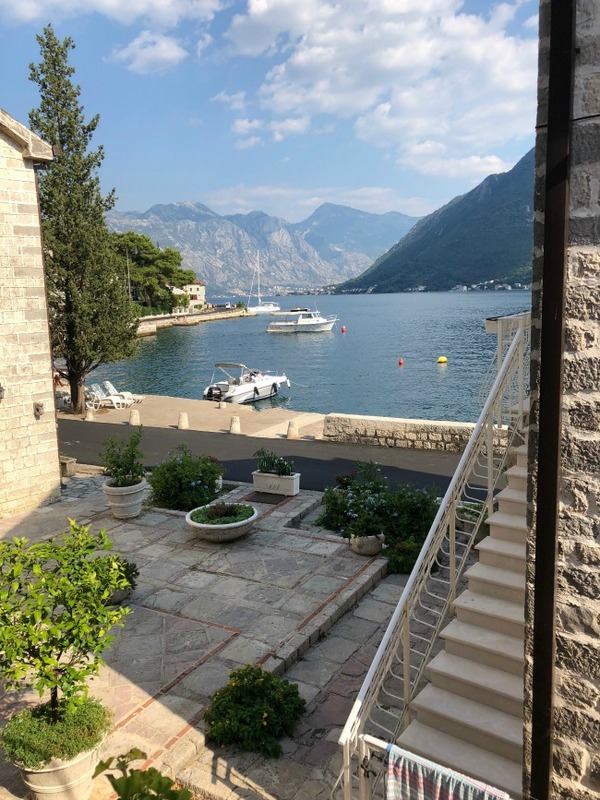 Whilst most people seem to visit Perast on a day trip from Kotor, we decided to stay two nights in an Air BnB there. Our apartment had incredible views over the water, as well as a gorgeous rooftop terrace which was a perfect spot for a glass of wine and some fresh figs. 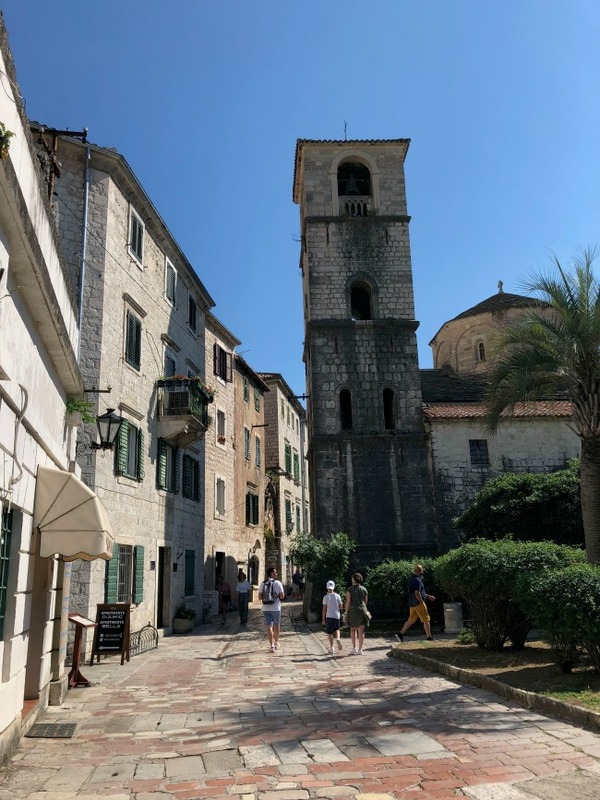 Within the town itself there aren’t exactly a huge array of activities, but the streets themselves are well worth an explore, as is St Nicholas Church, including climbing the bell tower. There are however a host of restaurants and bars scattered along the waterfront which are excellent spots to stop for an afternoon beer or a meal. 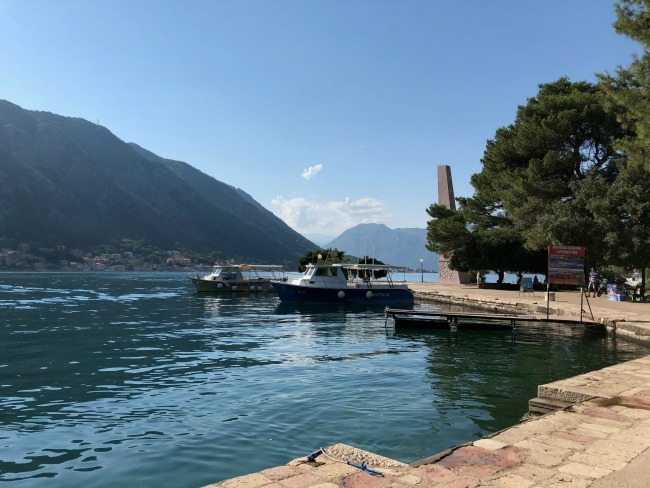 One of the key reasons people visit Perast is due to the two islands located just off shore. We headed out to them as part of a morning spent out on a boat with our tour guide Nic (more on him in coming posts!) and his cousin, which was an excellent way to explore the bay and take in more of the gorgeous scenery. We even swam straight off the back of the boat which was amazing, even if the water was pretty fresh! The first island is the Island of St George, however it can’t be accessed by boats, although you can swim out to it if you want to. The island everyone wants to visit is known as The Lady of the Rocks. The island is man-made and the history of its development is pretty amazing. The short version is back in 1452 some fishermen found a picture of Madonna and child on a rock in the sea, took it home, and overnight was healed of a long term illness (or maybe injury). They vowed to build a church and the town began a tradition of placing rocks or sinking old ships at this spot every time they returned safely from a journey. This still happens once a year too, so the island is continually growing and being reinforced. The church and attached museum that was eventually built on the island (and renovated in the 1720s) is home to an ornate altar and the walls are filled with art from a local Baroque artist as well as an amazing collection of silver votive plates. It was stunningly beautiful inside, but we did manage to time our visit with a very large tour group which was less than ideal! It’s also important to note that you are expected to have your shoulders covered, so keep that in mind if you’re planning on visiting as part of a day trip out swimming. 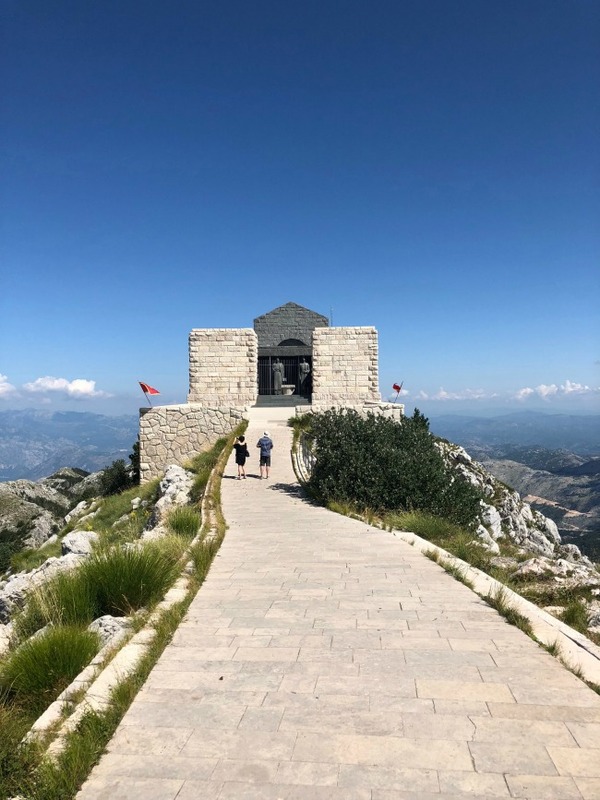 The Mausoleum to Petar II Petrović Njegoš, a former Prince-Bishop of Montenegro, who was also a much loved poet and philosopher sits on the second highest peak of the Lovcen national park, and it’s a must-visit. 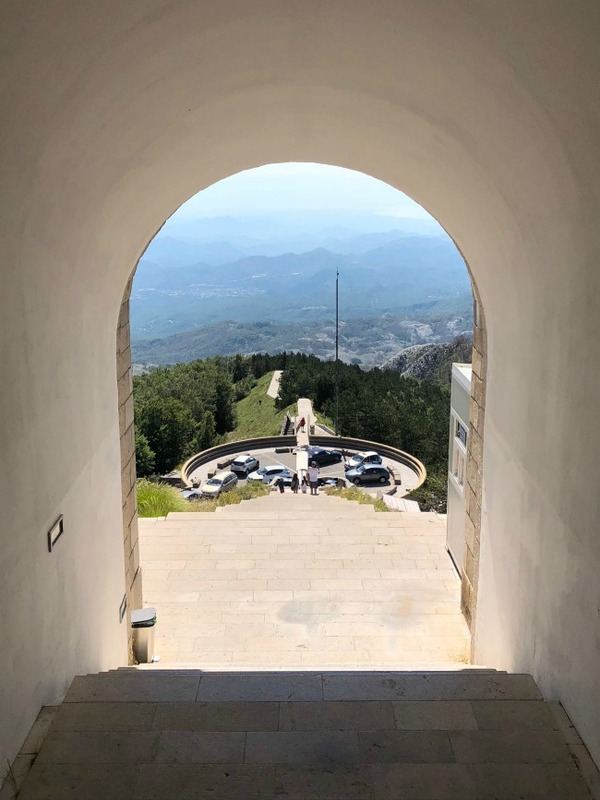 The mausoleum was rebuilt in the 1970s and it is well and truly worth the steep 461 steps to get there! 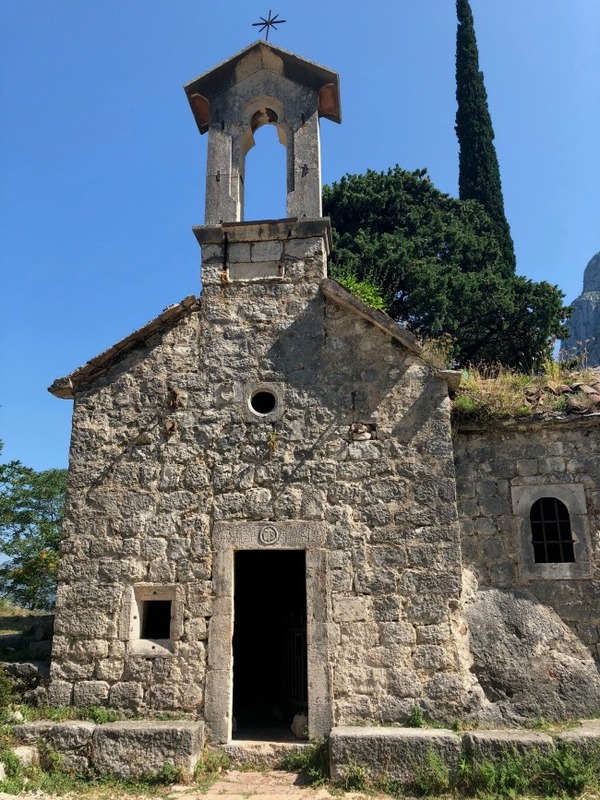 Once inside you’ll discover a large black granite statue of Njegos in a stunning, golden room, as well as his tomb which is located in a separate small room. Then you’re led along a path to a circular viewing platform which provides the most incredible views. 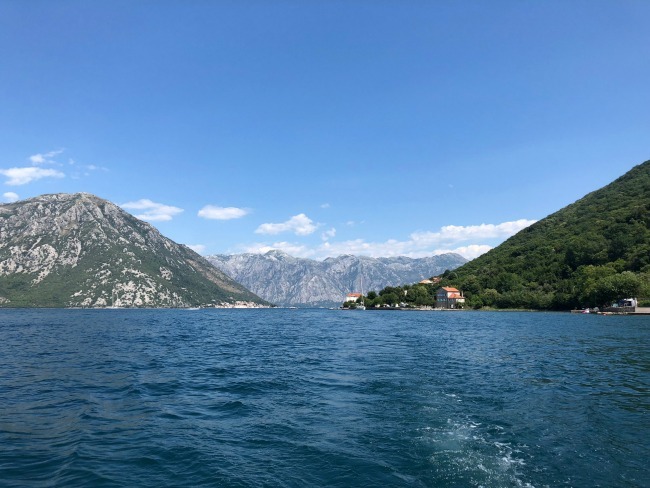 Not only can you see back to the Bay of Kotor, but even to Lake Skodor and if the sky is clear enough even all the way to Albania. Entry is €3 and we were recommended to go up mid-morning to get the best views. We weren’t warned quite how many steep stairs we were going to need to climb, but thankfully most of them are within a covered walkway which protects you from the sun. There’s a cafe down by the carpark and we even got to hang out with a cute little donkey! It is seriously well worth the visit. 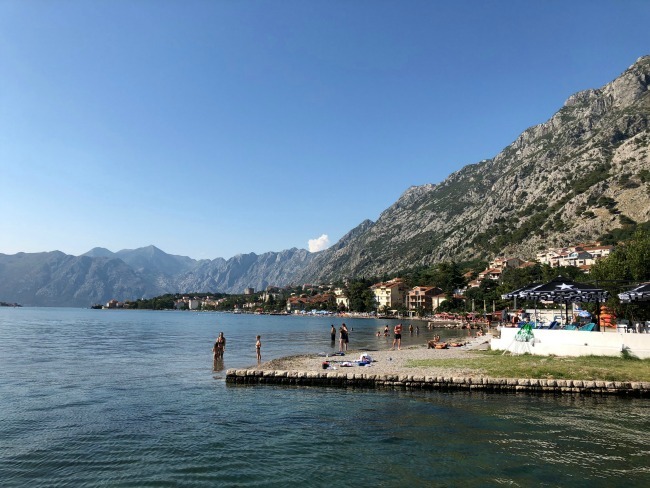 Have you been to Montenegro before? 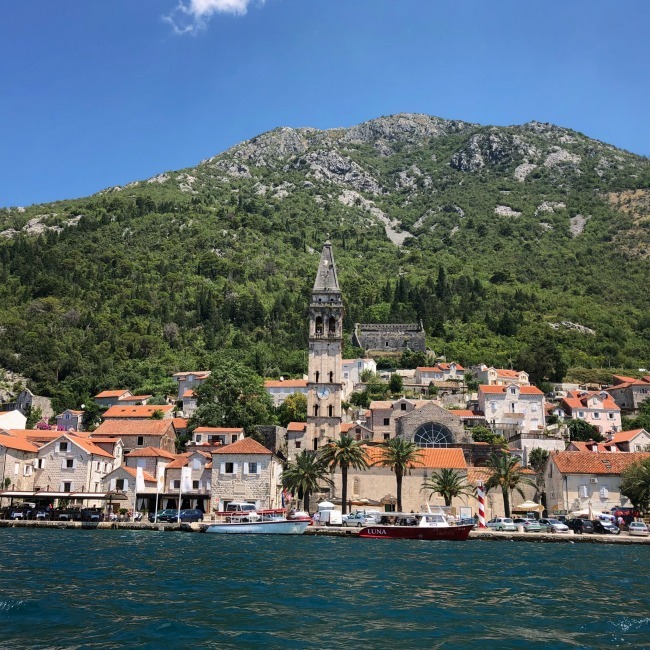 Did you visit Kotor and Perast?